W.R. Weaver Co. Mod. M73B1 sniper scope used on Remington or Springfield 1903 A4 rifles. This scope was originally the civilian Weaver 330 mod. C scope, slightly modified for sniper use during WWII. 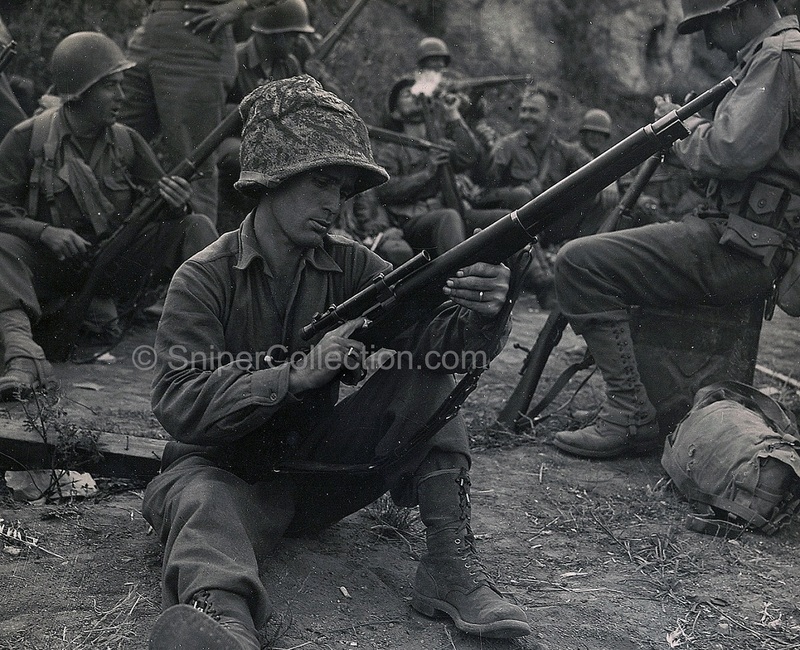 Below : an excellent quality picture showing PFC Edward Foley with the 36th division (Italy 1944), holding his 1903A4 mounted with a Weaver M73B1 scope.